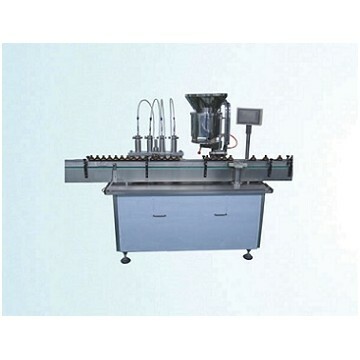 This machine is the main machine of the freeze dried product or penicillin bottle liquid filling product line, which has the functions of automatic bottle feeding, filling, automatic stopper feeding, automatic vacuum stopper sucking and stopper pressing. It adopts frequency control, PLC and touch operation interface and other advanced technology. The liquid filling is completed by plunger pump or peristalsis pump, accurate measurement, bottle wheel positioning stoppering,the stoppering is absolutely reliable. It has no bottle no filling, no stopper alarm and automatic shutdown protection functions to ensure the normal operation of the production.